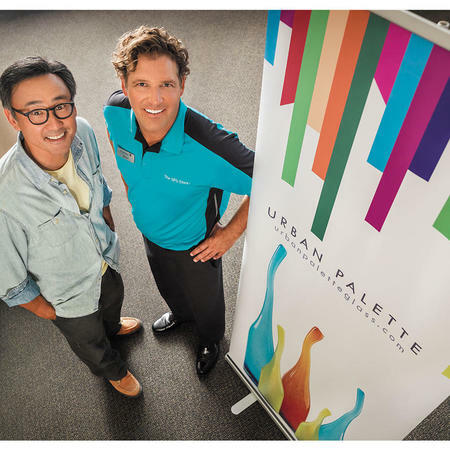 Help your small business stand out with waterproof and durable outdoor banners. 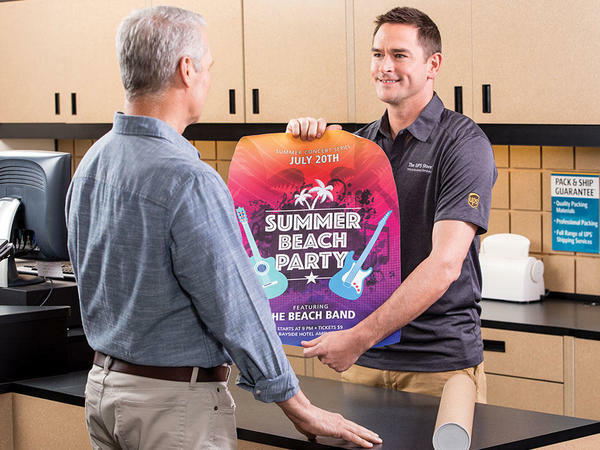 Banners printed by The UPS Store printing professionals are perfect for storefronts, trade-shows or promoting your next sale or grand opening. Our full color outdoor banners are made with 13oz Scrim Vinyl and are available with hems, grommets and pole pockets. 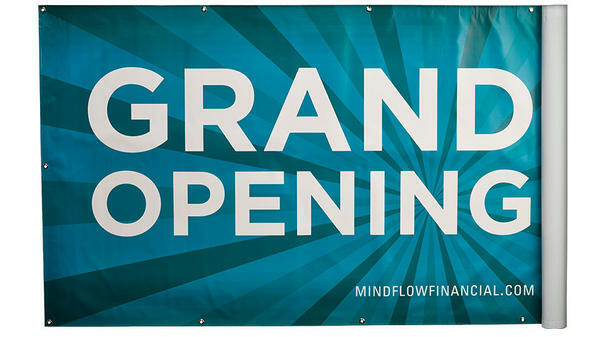 Start customizing your banner online today or visit us at 4311 School House Commons for a print consolation. 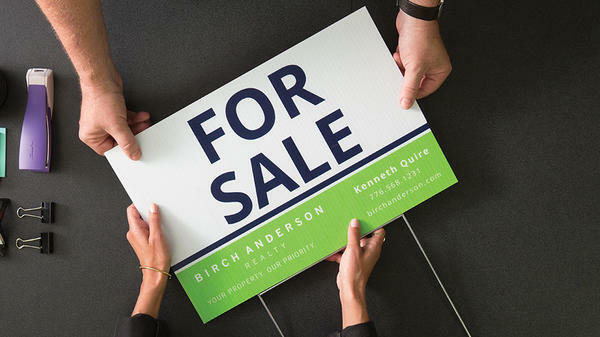 Whether you need to promote your garage sale, an electoral candidate or a real-estate listing, rigid yard signs provide for sturdy, durable message boards that are meant for withstanding the outdoors. The UPS Store offers Lawn Signs in 4mm Coroplast® in sizes 18" x 12" and 24" x 18". Place your order online or stop by The UPS Store at 4311 School House Commons to get your signs printed by the professionals. Looking for a banner for a special occasion? 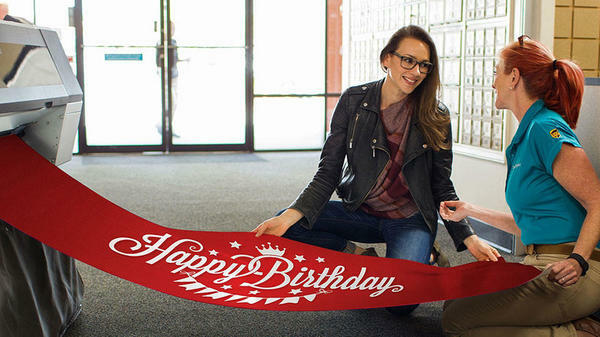 We've got customizable banner templates for birthdays, baby showers, weddings, and retirement parties. Have your design ready? Simply order online and upload your print file, or stop by The UPS Store at 4311 School House Commons to get started.